This program is designed to function as an open play gymnastics time. Each participant will be accompanied by their parent while moving at their own pace from desired station to desired station. This is a great introductory program for students not yet ready for an instructor-led class on their own! Our gymnastics instructors will be on site if needed to answer questions and to ensure safety. This is not a class led by our gymnastics coaches. Instructor-led classes begin at the junior gym level. First time participants receive a t-shirt. A PARENT MUST ACCOMPANY EACH CHILD TO EACH CLASS SESSION AND PARTICIPANTS SHOULD WEAR COMFORTABLE CLOTHING. Get your child ready for Junior Gym with a class that not only will help them for years to come but be a fun learning experience. Focus will be on learning patience, counting, colors, shapes, gymnastic technique and of course having FUN! This light hearted class will engage your child as well as prepare them for life’s next steps. First time participants receive a t-shirt. Does your little one use your couch like a jungle gym or your swing set like an obstacle course? If so, and you’re looking for a safe and creative way to burn off some of that extra energy, then this is definitely the class for them. Ninjanastics is a class that mixes gymnastics, tumbling, parkour and the thrill of American Ninja Warrior into a fun program while combining tumbling, climbing, getting through obstacles, and even some flips to increase body awareness, coordination, agility and motor skill levels. After training all session, Ninjas will have their final obstacle course to complete and beat their best time. Every session has a different obstacle course challenge with new goals to reach. This program builds confidence and self-reliance while developing coordination, strength, and flexibility in a fun setting. This is a very basic, entry level gymnastics class directly catered to pre-school aged children. This class will focus on entry level skills on floor, bars, beam, and vault. First time participants receive a t-shirt. Strive to reach your personal best by working towards your individual gymnastics goals with our self-paced skill progression program. Participants will learn basic skills on floor, bars, beam, and vault. During this class, children will learn fundamentals of gymnastics. 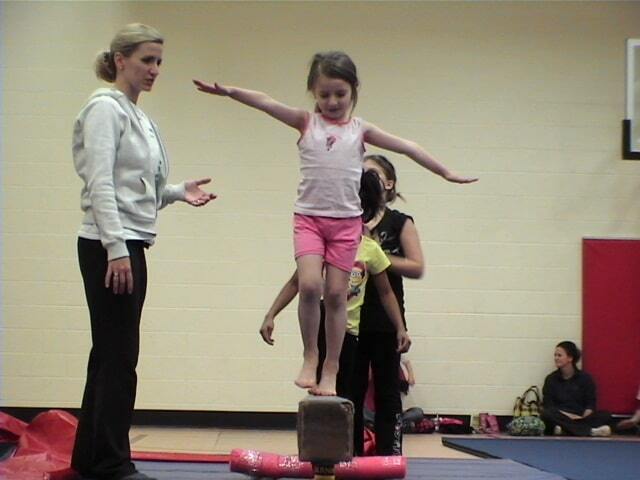 Beginner level gymnastics is the perfect class for students who have never participated in gymnastics before. This class is also dedicated to previous participants who need to work on perfecting their gymnastics skills before moving on to the next level. The course is a great starting point for all gymnasts! First time participants receive a t-shirt. Now that your child has perfected their skills at the beginning level, it’s time to move on up! This course places emphasis on strength, flexibility, and confidence as participants move into more advanced skills. Participants will build on their existing foundation while adding more challenging skills. First time participants receive a t-shirt. In advanced gymnastics, greater focus is placed on proper technique, conditioning, confidence, and self-reliance as the skill sets dramatically advance. Participants will continue to build on their existing foundations and will be given higher level goals to achieve. Back handsprings (floor), walk overs (floor), mill circles (bars), back hip circles (bars), cartwheels on the balance beam, and many other higher level skills will be the basis of this class. Focus in this class is placed highly on challenging students to achieve higher degrees of difficulty. This level is comparable to that of a competitive gymnastics/tumbling league program. Coach approval is required for this class. First time participants receive a t-shirt. This floor tumbling class is designed to teach basic to advanced level tumbling skills. Participants will work on walk overs, round-offs, handsprings, tucks, and more. This is an excellent class for students wishing to build confidence and physical strength. Tumbling is an ideal class for individual focus and for participants who wish to take their floor skills to the next level. Tumbling is also a great class for cheerleaders (or future cheerleaders) wishing to build on their floor tumbling skills. First time participants receive a t-shirt. Sharpen your skills, ready your routine and prepare for our in-house competition by participating in our new All-Star Gymnastics In-House Club program. Participants (limited to 12 participants only per session) will work with gymnastics staff for the first four weeks of their session on their routine preparing for their first in-house competition (week 5). Participants will be scored and judged on performance while receiving feedback on desired areas of improvement. Following their first in-house competition participants will work with their coaches for the final 3-4 weeks to improve and sharpen their skills preparing for their final competition on the last day.Parents are welcome during in-house competition days (no competition fees…everything is included in the class fee). Ribbons/medals will be awarded on the last day of competition. Certificates will be awarded at the first competition along with feedback on areas of improvement as they prepare for their final in-house competition. Participation in this program is by invite for Level 1-Level 3 only or by tryout request with Coach Sarah at gymnastics@ymcaswin.org. Twelve participants max per class session. First time participants receive an All-Star Club Team t-shirt. Take your skills to the next level with a personal gymnastics trainer! Our top-notch gymnastics and tumbling staff focus individual training sessions around assisting participants with the advancement of their individual skill level. Participants are evaluated, drilled and instructed through individually-tailored workouts that are designed to enhance their skill level. Sessions are personal and focus on the individual player’s skill needs. Our instructors are trained and led by veteran gymnastics trainer, Stacey Cobb (gymnastics@ymcaswin.org). As a gymnastics instructor, she has extensive experience in gymnastics coaching plus countless hours of cheer, dance and tumbling instruction along with travel team coaching experience. Contact Coach Sarah for instructor availability, days and times at gymnastics@ymcaswin.org. Partner, Small Group and Team Rates available upon request. Come out and have a blast at this year’s 2-Day Christmas Gymnastics Camp. During camp participants will be using and learning skills on the floor, vault, bars and beam. Sessions will be led by our own YMCA Gymnastics instructor staff. Come out and have a blast at this year’s 2-Day Spring Break Gymnastics Camp. During camp participants will be using and learning skills on the floor, vault, bars and beam. Sessions will be led by our own YMCA Gymnastics instructor staff. Get your kids out of the classroom and treat them to a special day of gymnastics fun at the Dunigan YMCA. Our gymnastics division provides field trips for child cares, preschools, elementary and Life Skills classes from August-May. 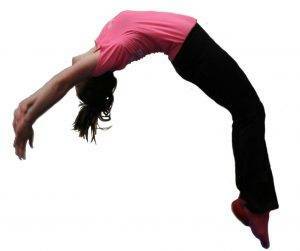 Sessions are available on Tuesday mornings (one hour and thirty minutes) as scheduled with our gymnastics coordinator. For details or to schedule, Contact Coach Sarah at gymnastics@ymcaswin.org. Field trip session can include gymnastics, tumbling and/or Ninjanastics programming (sessions include games, timed events and instruction on proper technique with oversight from our YMCA gymnastics instructor staff). Three adult helpers max in gymnastics room (on the gymnastics floor) at any given time due to room capacity guidelines. Current field trip days are Tuesday mornings.